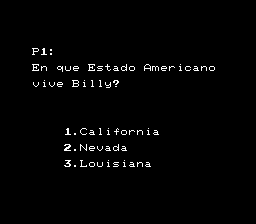 The Adventures of Bayou Billy is one of the most notorious NES games for being almost impossible to beat. As such the game can be considered broken and/or not enjoyable. 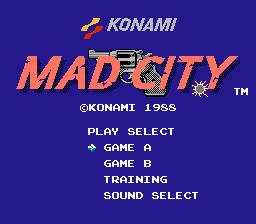 What’s more interesting is that the Japanese version of the game, Mad City, is much much easier and such can be considered a balanced and fun game to play. Why Konami? Why? Anyhow, the game is a blatant rip-off of Crocodile Dundee and a combination of many different sub-genres of action games. You’ve got your standard Final Fight like beat ‘em up, your action driving game and a light gun SHMUP. It’s got a lot of variety. 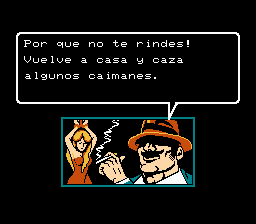 Translation to Spanish for “Mad City”, for the Nintendo Entertainment System. 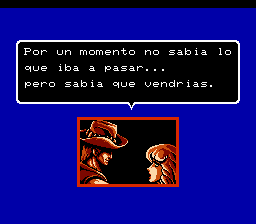 Based on the translation by Stardust Crusaders. v1.1: changes patch for Japanese version, it was for the English translation. 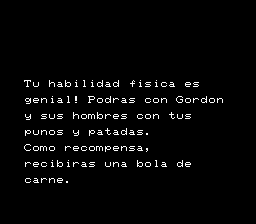 V1.2: script revision and ending fixing.